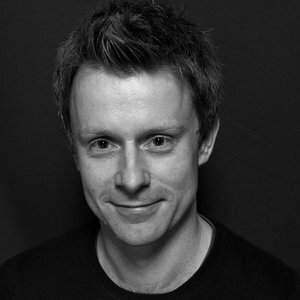 Stuart Wood joined Heatherwick Studio in 2002. With a background in industrial design, Stuart has led the broadest range of projects and some of the most iconic for the studio. These include the award-winning UK Pavilion for the 2010 Shanghai World, Transport for London’s 1000 New Routemaster bus fleet and the design phases of Google’s two new headquarters in California (now under construction). He has lead projects of all scales and typologies from experimental furniture to strategic city planning. With a clear focus on innovation and technology’s impact on future city design, Stuart leads a diverse portfolio of projects around the world including the United States, Singapore and Europe. These currently include the centrepiece for Hudson Yards, in Manhattan’s West Side, and in London, a new one million sqft home for Google in King’s Cross. Elsewhere his group is delivering a 110m ice-breaking exploration vessel, a masterplan study for adaptable cities, and Singapore’s new major airport terminal at Changi (in collaboration with KPF). In 2015 the studio created the role of Group Leader to support the growth in scale and number of its projects. Working with Thomas Heatherwick, Group Leaders are responsible for leading all aspects of a portfolio of projects from concept development through to delivery. They are also part of the studio’s senior management group, guiding business strategy, planning and process.